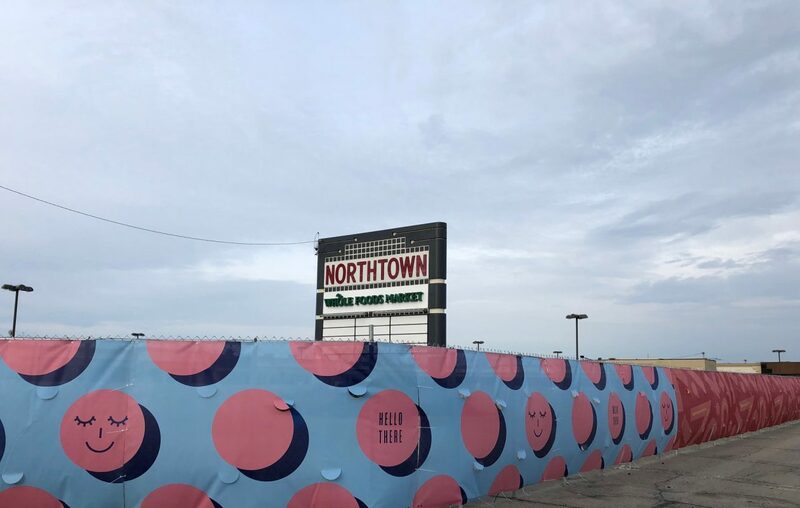 Demolition and construction work at the Northtown Plaza can't begin until environmental regulators approve the developer's plan to address sewer capacity issues on and around the site. A WS Development official said the sewer issue isn't a serious concern and shouldn't delay the start of demolition, now eyed for late spring or early summer. "This isn't the hold-up for us," said Brian Sciera, WS Development's senior vice president of leasing, who did not provide a firm start date for the work. Amherst already has signed off on the sewer plan submitted by WS Development's engineer, Town Engineer Jeffrey Burroughs said. The state is reviewing that report. "We've worked really hard with the developer, the developer's engineer to make sure that they're minimizing sanitary sewer flow from the development," Burroughs said. WS Development has owned the 18-acre Northtown Plaza site since 2015. Contractors tore down a former Bon-Ton store on the site to make way for a Whole Foods Market that opened in 2017. WS also cleared out all of the tenants from the two main retail buildings on the site and surrounded the structures with a chain-link fence. The company has received permission to put up six buildings and a central gathering space on the site. Crews have removed asbestos, but WS Development opted not to begin demolition last year, saying it didn't want to work through the winter and that it was taking longer than expected to lock in tenants. Another hurdle is the aging sanitary sewer system in the Snyder, Eggertsville and Williamsville neighborhoods. Heavy rains can cause the system to overflow, releasing raw sewage, Burroughs said. The town is under a consent order with the state to reduce the overflows. "We've been working on this problem for years," he said. Overflows are now limited to two locations in this part of the town. A downstream sewer capacity analysis is required when new sewer connections are proposed in areas subject to potential overflows, according to the DEC. Developers can't get building or demolition permits without it. The agency said it is reviewing the downstream analysis as well as the engineer's report from WS Development for the proposed Northtown Plaza sewer connection. It's a large project, but this type of review is standard for new developments, Burroughs said. Further, WS Development is redeveloping an existing retail property, not turning green space into a shopping center. "It's not like it's going from zero to 100," WS Development's Sciera said. The new development should produce no or minimal increase in sewage, Burroughs said, noting the installation of new sanitary sewer pipes and connections and low-flow fixtures as examples of the improvements planned for the site. Sciera said he didn't know when the developer will begin demolition. The company is signing more tenant leases to fill the proposed retail buildings, he said. "We've made unbelievable progress in that regard," Sciera said.